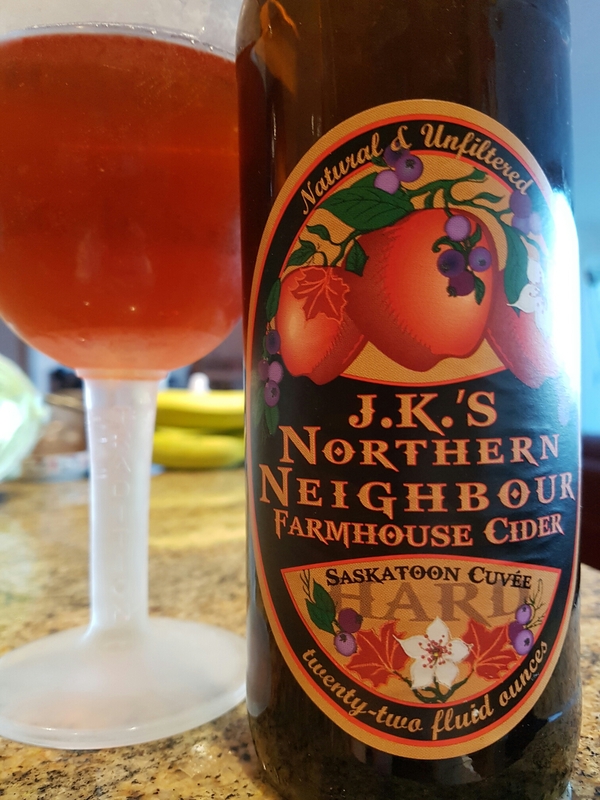 J.K.’s Northern Neighbour Farmhouse Cider Saskatoon Cuvée – Almar Orchards (Flushing, MI, USA) | Justintoxicated. 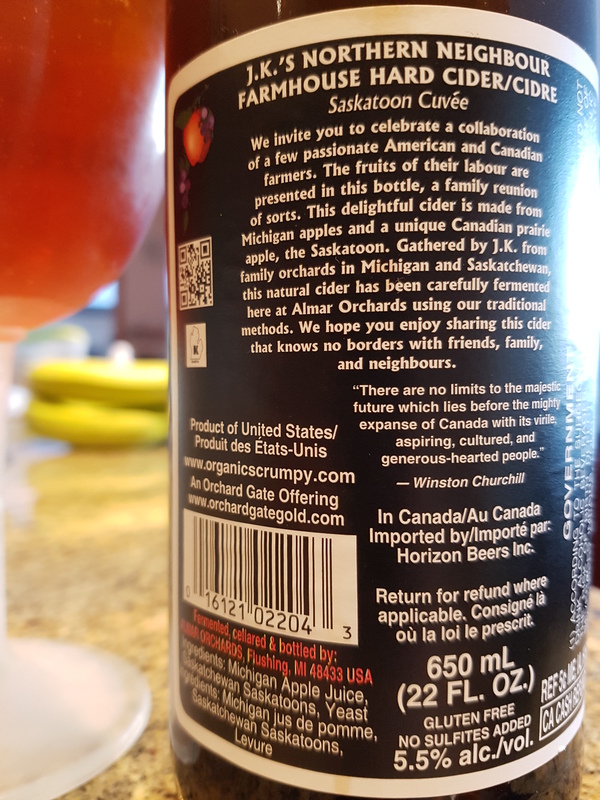 Visual: Pours orange-red with large suspended bits of sediment, no activity and no head, just a few bubbles clinging to the side of the glass. Summary: Quite an approachable sweet cider with bit woody apple flavour and a bit of tang and sourness to round it out. The sugars become a bit cloying after several sips so this goes best with a savoury meal.